Twin Palms is a unique 15 space park close to shopping centers, hospitals, churches, restaurants, MLB Spring Training, hiking, golfing, museums, casinos, etc. Scottsdale is a short drive away, 20 minute drive to Phoenix Sky Harbor Airport, 30 minute drive to mayo clinic . 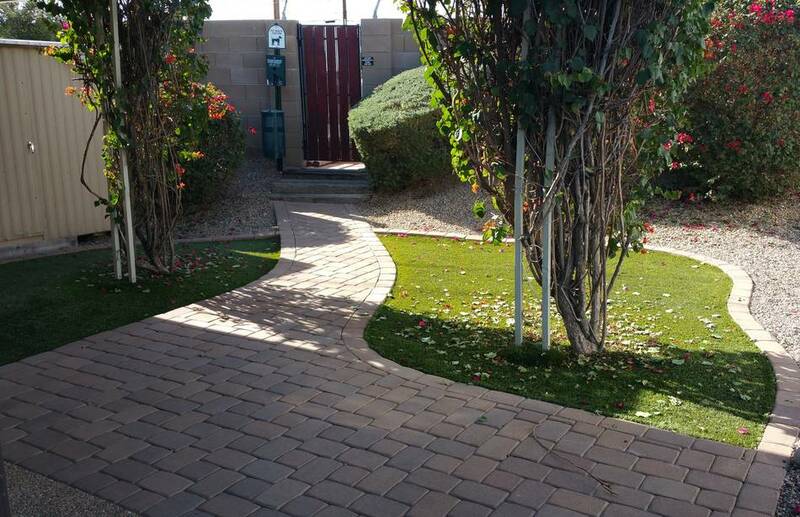 Each site is well groomed with pea-rock and a concrete patio. Most sites offer some type of shrubbery or young trees. Hookups include 30 and 50 amp service, sewer and water. Free WI-FI. Clean restrooms with showers. HD cable TV with 100 plus channels included with a $100 cash refundable deposit for a cable box. Pets (limit of 2) are ok with approval plus $2 per day fee (outdoor pet enclosures prohibited). 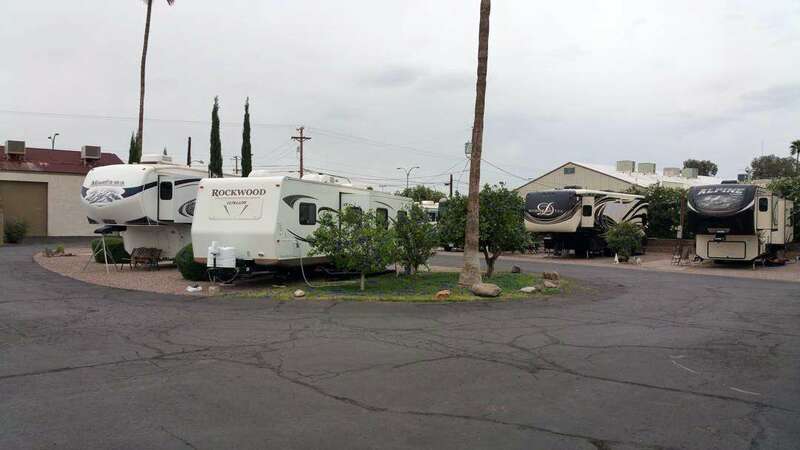 We ask that RV's be newer than 10 years old. 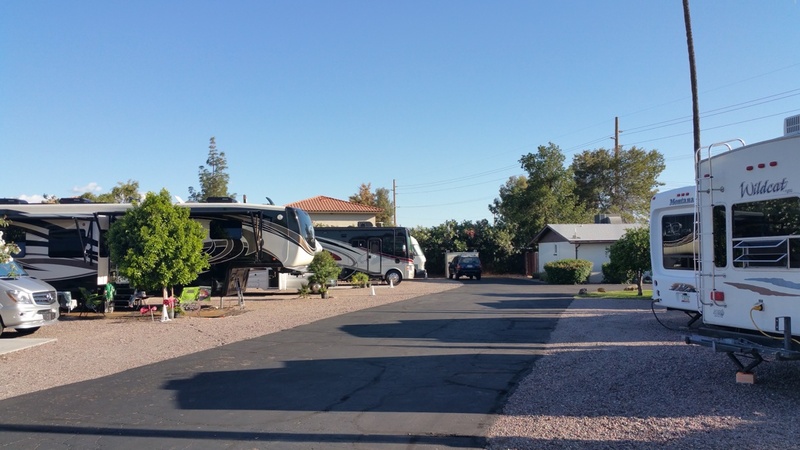 Located on Main Street, between Gilbert and Lindsay Roads, directly across from Camping World and their huge American flag. Interested in being a host at Twin Palms? 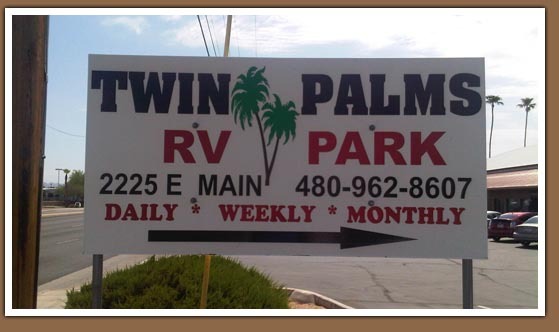 © Copyright 2011 Twin Palms RV Park. /font> All rights reserved.